Size of this preview: 800 × 526 pixels. Other resolutions: 320 × 210 pixels | 1,080 × 710 pixels. 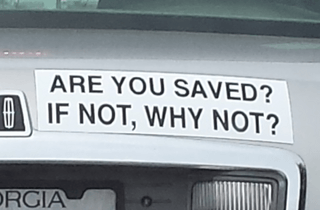 Description: Bumper sticker on a Lincoln car asking "Are you saved? 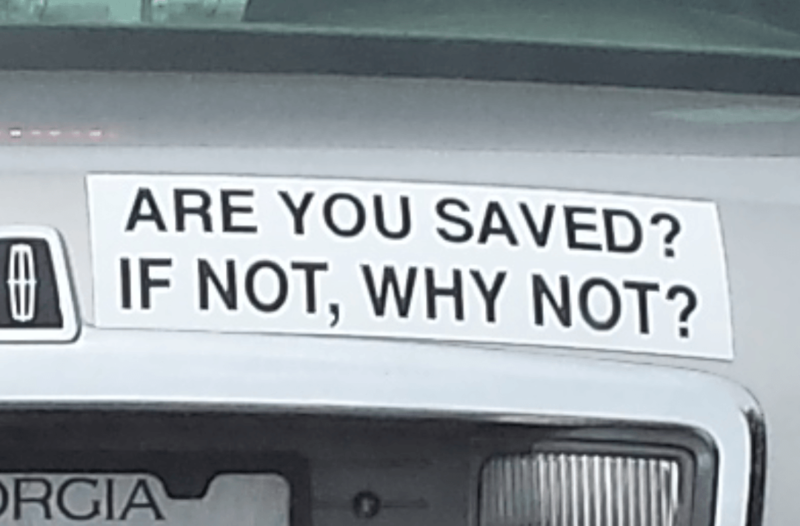 If not, why not?" This page was last modified on 20 April 2017, at 01:34.